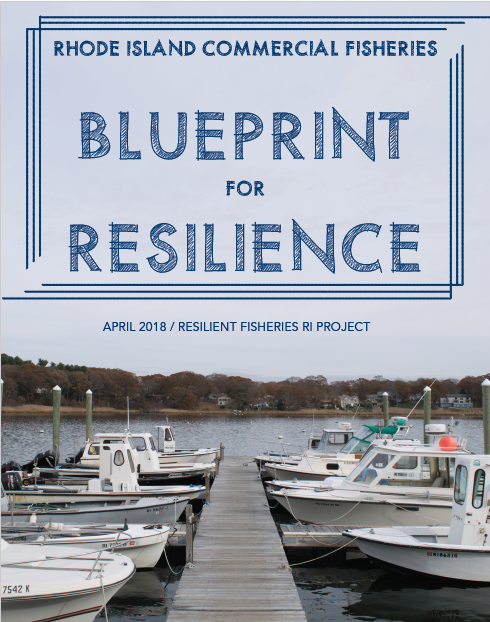 The Blueprint for Resilience is a collaborative platform for strategizing about the future of Rhode Island's fishing industry. 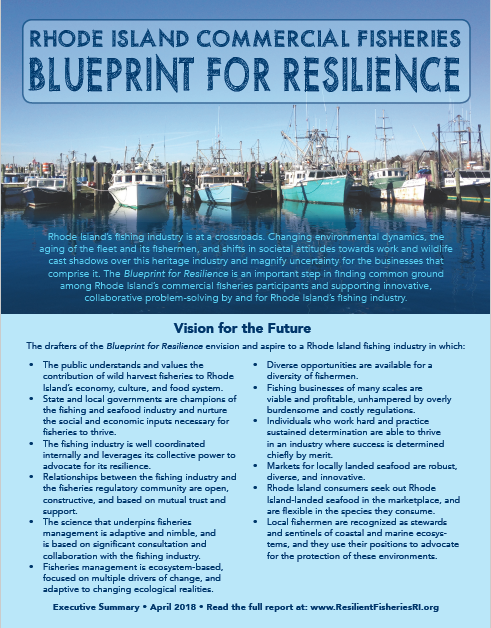 Developed by fishermen and shoreside business operators from all of Rhode Island's commercial fishing ports, the Blueprint is a bottom-up, consensus-based foundation that can be advanced and added to by all fishing industry participants to design their future. The publication of the Blueprint is neither the first nor the last step in Rhode Island fishermen's efforts to come to terms with change. Adaptive by nature, fishermen have a rich history of innovation and ingenuity. But modern-day challenges place unprecedented strains on individual capacity to adapt, and demand a systems approach. This is where the Resilient Fisheries RI network and the Blueprint for Resilience come in.